I am sending my RL-2's to Ziggy to be upgraded to 1.5's and then I would like to sell them to someone from this forum. These were Steve Deckert's personal pair of RL-2's before he sold them to me a little more than a year ago. They are finished in a custom Rosewood veneer and have all silver internal wiring. You can find a picture of them here http://www.decware.com/newsite/mainmenu.htm on the 2nd page, third to the last picture. These are in excellent condition and once upgraded should be like new speakers. I would like to sell them for $1100 plus shipping from Ziggy to you. I will cover shipping to Ziggy. If you were to buy a brand new pair with the custom veneer($150-$200) plus the silver wiring ($???) 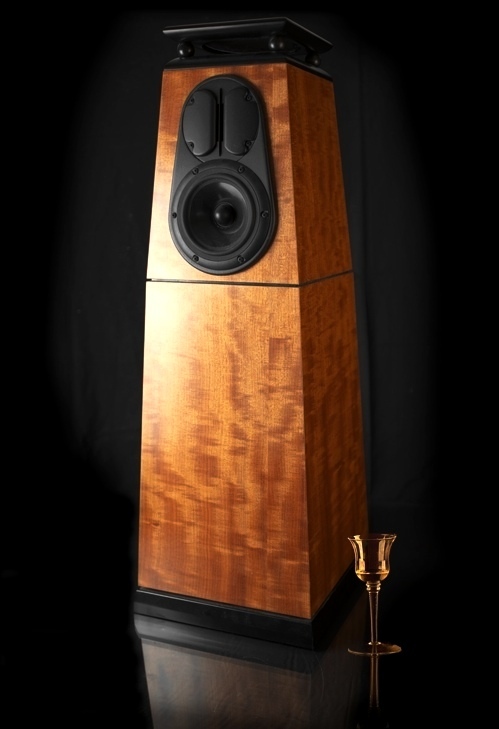 I would expect the price to be around $1500-$1600 so I think this is a fair price considering that the 1.5 upgrade will make these almost like new speakers. Why am I selling? Ziggy is building my new RL-3's! I will send these off on Monday or Tuesday, so Ziggy should have them by the end of the week and he said it shouldn't take him more than a few days to turn them around. I'll be around the house Monday afternoon but will be working Monday evening until 2-3a.m. so if I don't respond right away that's why. I hope someone can take advantage of this excellent opportunity to own 1.5s! I am puzzled. As I recall the RL-2 had a more elaborate bottom. How does turning them into a 1.5 constitute an upgrade? Also I presume the speakers are broken-in. Would the upgraded speaker require another break-in period? Fragranthead, The 1.5's replaced the RL-2's in the line up offered by Decware. The "more elaborate bottom" is replaced with a passive radiator that is more precisely matched to the new 8" driver. If you read some of the design notes on the 1.5 it is explained in better detail. The new driver will need to break in, but the tweeter will be the same and is well broken in by both Steve and I(as is the internal wire). General consensus at last years Decfest was that the 1.5's were an improvement over the 2's, and I thought this would be a more attractive deal to most folks. Lon, thanks man! I'm looking forward to the 3's! Once I get moved into the new house and have everything set up and broken in maybe you can come over and listen them if you want. I think it would be fun. Congrats on the Radial 3's. They are amazing. Aren't the 1.5 radials a bit more efficient than the 2's? Please post about your new speakers. Nodiak, thanks so much for the link to the extra pictures! Very cool. Steve_f, according to the specs listed on the website the 1.5's are indeed a bit more efficient than the 2's. Thanks for pointing that out . When I recieve the RL-3's I will be sure to post impressions and comparisons(however lame and flawed that attempt may be)with the 2's. I'm really looking forward to it because I know my current speakers pretty well and the things offered in the new design I think will be even more to my liking. To each his own, right? Who knows, Lon might want to come over someday and we could get another Radial owners opinion as well. Either way, I'll be sure to post my best effort in getting across what I think. MAB -- Did you sell those RL2s to Steve Nicolosi in Philadelphia? ??? I just bought a pair of speakers from him which he said were previously owned by Steve Deckert, then another person (you?) and now me. Thanks. By the way, I love them! Ah Rap, just come on over here and read about jazz from brains much more educated about it than mine! WOW! 14.5k posts. Do you ever work? Yes. I work A LOT. Hi Robert - we've talked thru email now - but yes those were mine and before me, Steve's. Ziggy put some extra special care and love into them so I hope you enjoy them for a long time! Hi Lon! It's been a long time since I've been around these parts, but I'm still alive and well . I got a few emails recently from folks interested in the Radials so I thought I'd check in and see what's up. I hope you're doing great and enjoying the summer weather - odd eh? To all those people on the fence about the Radials you owe it to yourself to try them out. They are different, and if I may be so bold, better than most of what you will hear out there. It's good to see you post again, how are things with you???? Well, things could be better but have been worse. Still dealing with my wife's lymphoma (maybe, there's still something going on that may or may not be cancer) and we go back to Houston on President's Day for more tests and consultations. Work BITES. . . .But otherwise I'm happy. Enjoying being home since the week before Xmas. . . . I really am a "homeboy."